South Africa doctors say the prop has an irregular heart rhythm as a result of an hereditary condition. Springbok player Tendai Mtawarira during training at Blackrock RFC last week. SPRINGBOK PROP Tendai Mtawarira will return home early from South Africa’s tour of Europe after suffering heart palpitations which forced him to withdraw from Saturday’s Test against Ireland. Following South Africa’s 16-12 win over Ireland, Mtawarira, nicknamed ‘Beast’, travelled with the rest of the squad to Edinburgh ahead of this weekend’s Test with Scotland. But today a South Africa Rugby statement said he would be flying home as it had been decided “it would be in the player’s best interests not to continue with the tour”. Springbok coach Heyneke Meyer said: “We’ve consulted with Beast and his cardiologist in Durban and although it’s safe for him to play, we decided it would be best for him to return home and rest. Springbok team doctor Craig Roberts added the 27-year-old Mtawarira, capped 41 times, has an irregular heart rhythm as a result of an hereditary condition. “He has had this several times before and it’s always been managed accordingly,” said Roberts. ”This condition is not life threatening, but needs to be managed properly which is why we thought it would be in Beast’s best interest to return to South Africa,” he explained. Team officials said a decision on whether to summon a replacement would be taken in due course, with Saturday’s match against Scotland at Murrayfield and a 24 November clash with England at Twickenham still to come. 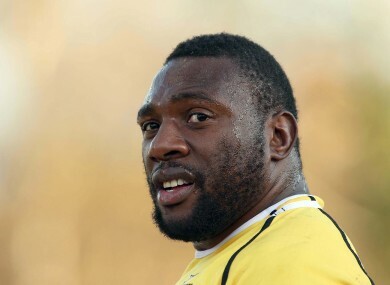 Email “Boks' 'Beast' Mtawarira quits South Africa tour after heart scare in Dublin”. Feedback on “Boks' 'Beast' Mtawarira quits South Africa tour after heart scare in Dublin”.